Members are vetted not just for performance, but a continued commitment to quality experience. Our brokers are recognized for their agility, expertise, and superior knowledge of both local and global markets—qualities unique to independents. Members enjoy widespread recognition and reach, while maintaining their autonomy and above-and-beyond spirit. Leading RE advocates for its members, offering targeted services, resources, and support, while lobbying for higher standards for independents in real estate. Through LeadingRE, local brokers are connected to broader markets, both nationally and globally. Lead Generation, with 30,000-40,000 referrals exchanged annually, referral fee-free Internet traffic and leads from LeadingRE.com, and corporate relocation referrals from our sister relocation management company, RELO Direct , Inc. Leading Real Estate Companies of the World® (LeadingRE) is the home of the world&apos;s market-leading independent residential brokerages in over 60 countries, with over 550 firms and 128,000 associates producing over one million transactions valued at $351 billion annually. Our by-invitation-only network is based on the unparalleled performance and trusted relationships that result in exceptional client experiences. In 1997, 50 of the largest brokerage firms in the United States left a major industry network in order to launch what later became Leading Real Estate Companies of the World® with the goal of controlling their own destiny and creating a network comprised of only the best locally- and regionally-branded firms focused on raising the bar in real estate. Today, we lead the industry in reputation and a long list of metrics related to sales, market coverage, and more. 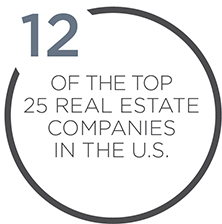 LeadingRE&apos;s mantra is "Making the Best Brokerages Better," by providing these leading local brands with world-class business resources and national and global connections. Read more about our Global Reach. Ten years ago, Bernie Vogt recognized that there was a significant number of outstanding independent real estate brokerages operating alone in their respective markets, competing against established national franchised brands. Acknowledging that each of these independent brokerages could gain a competitive advantage by working together, he formed the Aventure™ network with an aim to help expand their reach, build a solid referral platform and strengthen their value proposition. The founding members of Aventure™ were located in the country’s major markets, but the network experienced rapid growth within the first few months, expanding it to the point where there are now members in over 1,200 markets from coast to coast. We have also continued to build our reach by forming strategic alliances with partners around the globe, providing our members with solid international connections. At Aventure™, our vision is to create an unparalleled network of outstanding independent brokerages and real estate sales professionals across the country. By bringing together the leading independent brokerages from coast to coast, Aventure™ aims to deliver benefits that will help strengthen our members’ brands and improve their competitive position through knowledge-sharing and relationship building. By creating an environment that fosters relationships, our members can expand their market reach to gain a competitive edge. “AVENTURE member companies are chosen because of their history of success, market expertise, and commitment to the communities they serve. Delivering unparalleled service through strong sales professionals and a philosophy based on integrity and high preformance is a hallmark of an AVENTURE member brokerage. Interested in learning more about Tracy Arnett Realty?